With an inspiring sense of wonder and a focus on Jesus Christ, Anne Graham Lotz brings clarity and understanding to the book of Revelation. Lotz takes the reader step-by-step through John's eyewitness account of God's plan for our future, emphasizing our hope in Jesus rather than our fear of end times. The Vision of His Glory: Finding Hope Through the Revelation of Jesus Christ by Anne Graham Lotz was published by Thomas Nelson in January 2001 and is our 32594th best seller. 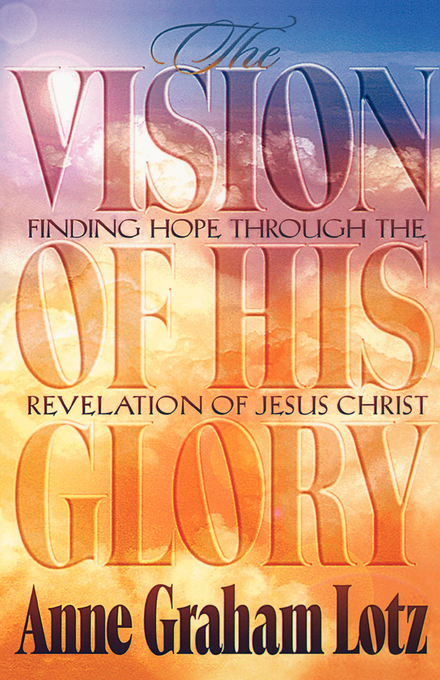 The ISBN for The Vision of His Glory: Finding Hope Through the Revelation of Jesus Christ is 9780849940163. Be the first to review The Vision of His Glory: Finding Hope Through the Revelation of Jesus Christ! Got a question? No problem! Just click here to ask us about The Vision of His Glory: Finding Hope Through the Revelation of Jesus Christ.